Home and Bedroom’s new lineup of Skyline Furniture upholstered headboards provide a focal point that gives a bedroom the look of an expensive makeover for just a few hundred dollars. Homeowners who’ve got a bad case of spring fever can now give their bedrooms a total transformation without spending a fortune. 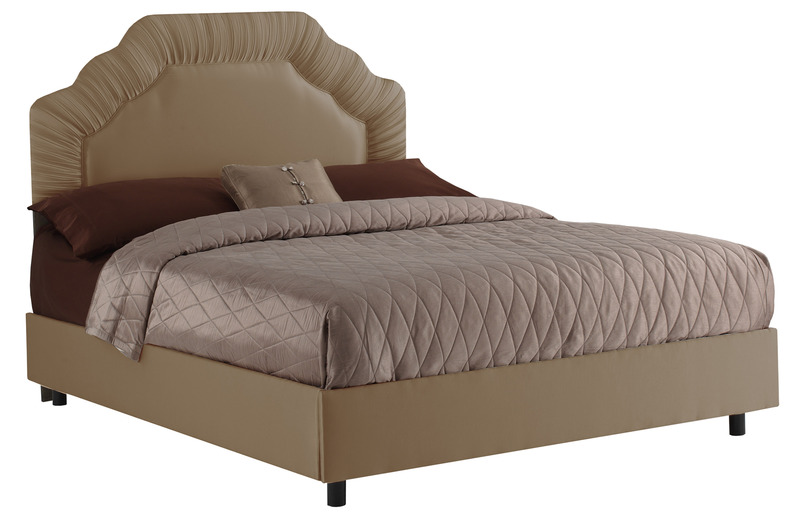 Home and Bedroom has just added dozens of Skyline Furniture upholstered headboards to its inventory that can completely transform a bedroom for just a few hundred dollars. The company, a discount retailer of quality home furnishings, offers more ways to redecorate affordably. With spring in full swing, an “out with the old, in with the new” mentality is gripping homeowners. And now that spring cleaning is out of the way, the desire to freshen up every room in the house lures. Still leery about the recession, however, these change-craving Americans are hesitant to fork out big dollars on an expensive home renovation. Home and Bedroom’s new line of Skyline Furniture upholstered headboards combines the best of both these world’s with stylish bedroom-makeover upholstered pieces at a non-expensive price point. Visitors to the Home-and-Bedroom.com showroom will find a wide range of colors, styles and fabrics from which to choose, with an option to match every decorating preference. Those homeowners who favor classic, streamlined designs will find what they’re looking for with the Skyline Five Button upholstered headboards. 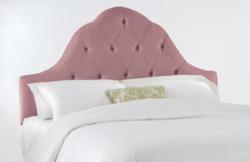 Other popular selections from the Skyline collection include the plush, sophisticated tufted headboard, the sleek and simple Slipcover headboard, the geometric Border headboard, the romantic Tufted Arch headboard, the dream Shirred Border headboard, the architectural Curved Tufted headboard and the antique-style High Arch headboard. The home-makeover options don’t stop in the design department, though. 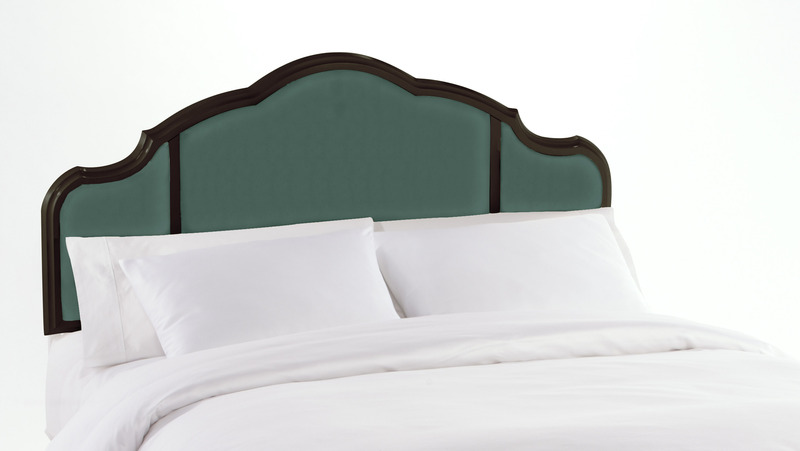 The Skyline upholstered headboards come in a full spectrum of color and a wide array of high-end fabric choices, including velvet, leather, twill, shantung and other premier materials. Those who prefer earth tones can select from a palette that includes parchment, chocolate brown, khaki, buckwheat, honey, saddle, oatmeal and natural. Those who lean toward vibrant hues in the bedroom will also find many alternatives to select from, including woodrose, Aztec gold, lilac, apple green, aubergine, Caribbean blue, purple, red, sage and lazuli. And of course, the black and white neutrals are also represented. A family owned and operated business, Skyline Furniture boasts a 60-year track record in manufacturing stylish, affordable, quality furniture for the home. “It’s these corporate hallmarks, Skyline’s emphasis on top-quality furnishings that the average homeowner can easily afford, that makes the company the perfect partner for us,” explains Home and Bedroom Furniture spokesperson, Ben Weissman. “This company, along with Hillsdale Furniture and Fashion Bed Group offer metal beds, headboards and daybeds with trundles which offer great ways to get a new stylish look at affordable prices. For more information on how to give your bedroom a spring makeover without breaking the bank, contact Home-and-Bedroom.com’s Ben Weissman at (281) 758-0832. 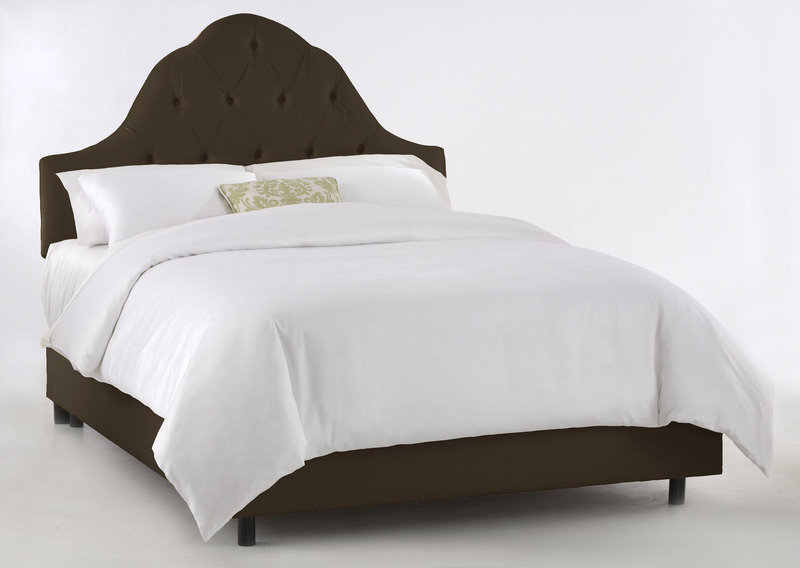 To see the company’s full line of Skyline Furniture upholstered headboards, visit Home and Bedroom Furniture online at http://www.home-and-bedroom.com/skyline-furniture.html.